By late March in the year 440, men began to return to Cadbury, most after the spring planting. They came from Wales, Britain and Cornwall. Many had gone home for the winter, but Festuscato had them and trained them until near the end of October when they had to go and help bring in the harvest. This time they did not appear the same straggling, uncertain gaggle of men that came in last July. Some Welsh, Cornish and Britons seemed to have developed a camaraderie during the training and looked for each other upon return. “This is good,” Festuscato told Constantine. “This needs to be encouraged.” Constantine was above all his number one target for training, and he spent every day pointing things out to the man, all the minute details of how to rule, while his men fetched their wives and families, built a town with a wall around it, and rebuilt the fort, almost from scratch. Julius had done a fine job keeping the Hun off balance all summer, and not being caught. When Megla settled on the land of the Raven in Leogria for the winter, many of the scouts and patrols the Hun sent out never returned. Julius and his riders did the grunt work, but this worked mostly thanks to Pinewood and a whole troop of fairies who were much better than the Huns at keeping track of the enemy’s location. There came a point in Late February where things might have gone badly. One of Megla’s lieutenants, a man named Gurt, snuck three hundred men out of the Hun camp in the night. They had figured out where Julius and his men had to be quartered, and the Huns were very good at that kind of figuring. They were also used to military operations in the winter, and even in deep snow. That seemed a necessity in the Hun Empire, which covered the steppes from the future Moscow to the future Budapest. Plenty of snow and long winters there. The Huns wore white against snow and rode swiftly, with the idea of catching the Romans unprepared. Their tactics were sound, but Julius did not get fooled. For one, this being his first real chance at command, he got a bit over zealous and had men out checking the approaches to the village day and night. Even without his fairy spies, he probably would not have been taken unaware. As it was, he became able to set a trap. The village sat north of Leogria, on the lands that Festuscato figured would one day be divided between Pelenor’s and Peredur’s families. They had open fields on the rolling landscape, but not far to the forest. Gurt did not worry so much about the trees, as he wanted to get his men in position to charge the village at dawn. He imagined it would be a surprise attack and put an end to the Romans. But being warned, the village put every wagon, box and barrel they could find to block the road, and set up other obstacles and men to block every other entrance to the town. Julius took his men to the edge of the trees. When the Huns got in position, Julius was prepared to come up behind them, and he got excited to think the surprise would be turned on its head. Thus far, Julius felt proud of his men, all of them, he admitted, but he felt especially proud of his troop of misfits and throw-aways. 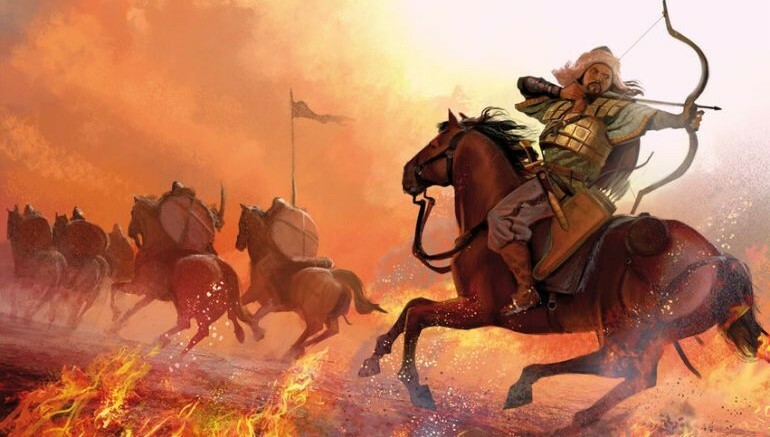 The Huns were the terror of the western world, challenging and often destroying whole armies of Romans. They had reduced whole tribes of Germans to subservient status, and it started to look like they might take over the Roman Empire itself, at least in the west. In the east, the emperor decided to build bigger walls around Constantinople. But here, the men with Julius, who were deemed useless as far as the regular Roman army was concerned, had come head to head with the dreaded Huns, and came out victorious. Julius wondered about Festuscato. He seemed such a rich man’s son, and came across with the worst sort of gluttonous, could not care less attitude about life. But Julius knew appearances could be deceiving. Maybe it was all a game to him, but Festuscato took it as a game he intended to win. Where he learned about the military, and how he came up with the idea of training the men on horseback in that way remained a mystery. But not too much of a mystery, he thought, as Pinewood chose that moment to fly down and land in his horse’s mane, between his horse’s ears. Julius’ horse barely flinched. “Are the men in the village ready?” Julius asked. “What?” Julius struggled to keep his voice down. 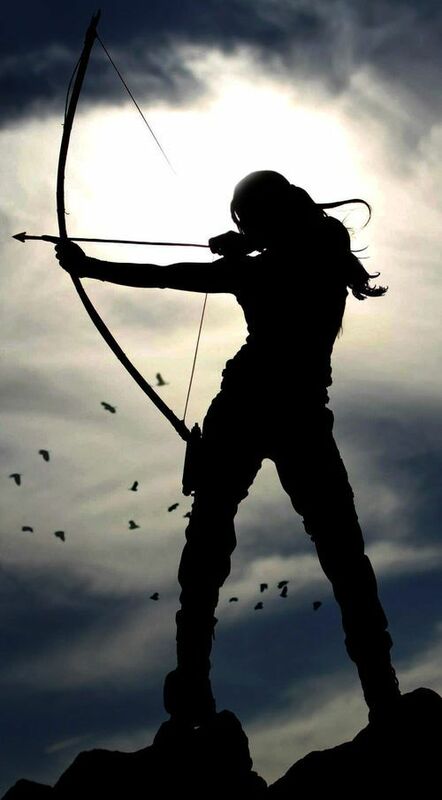 “Lady Drucilla contacted a distant cousin, an elf Lord named Deerunner, and he has brought a hundred bows to stand with the villagers.” Pinwood rose into the air. “I better go see that my men are ready,” he said and zoomed off before Julius could react. “I like your wife,” Marcellus said, as he nudged his horse up beside Julius. “Stupid and stubborn.” Jullius shook his head. “You sound like you are speaking from experience,” Julius smiled. “You think he doesn’t already know?” Julius asked, and Marcellus shrugged. “They are mounting for the attack,” a voice came up from around Julius’ feet. Julius looked down and imagined it was a barrel-chested boy, but for the long beard. “Thank you,” Julius said, and he raised his spear and shook it in the air. The men who were not ready, got ready. The dwarf disappeared. “Quite a world Lord Agitus has brought us into,” he said calmly.